Emmanuel Macron has shown just how inexperienced he is when it comes to international trade. Both Berlin and Brussels have rejected Macron’s central platform in his election campaign that all government purchases should be made from exclusively European companies. They realize that while Le Pen cheered “France First”, Macron called that nationalist, he proposed European Nationalism. Germany needs open markets to retain its current account surplus. Without that, Germany fears its economic power will collapse. Macron’s proposals are rejected already behind the curtain. Hence, the French people will find he is their Obama – great expectations for change, but no leadership leads to the same old status quo. 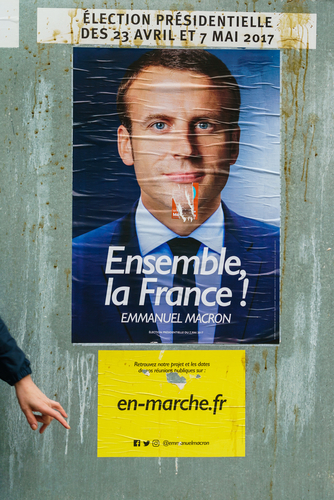 Macron’s “Buy European Act” was his a central promise during his campaign. Macron’;s entire plan was to solve unemployment with protectionism but not exclusively for France, but for Europe. Macron’s formula was to be that only companies that have settled at least half of their production in Europe would qualify to sell goods to the government. He calls this the plan that would protect Europe in this new age of globalization. At the end of the day, the difference between Le Pen and Macron was a sense of power. Le Pen realized the authority of the president ended at the French border. Macron, thought he really would have a say in Brussels and Berlin. Ah, what fools we mortals can be.